Down at Front & Callowhill, I-95 looms above above everything. Because of this, we’d imagine, there’s been a bit of a vacant land problem here over the years. 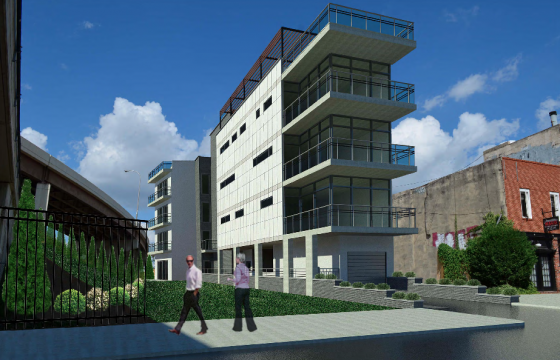 One of those vacant lots will soon be replaced, though, by a beautiful new mixed-use building. 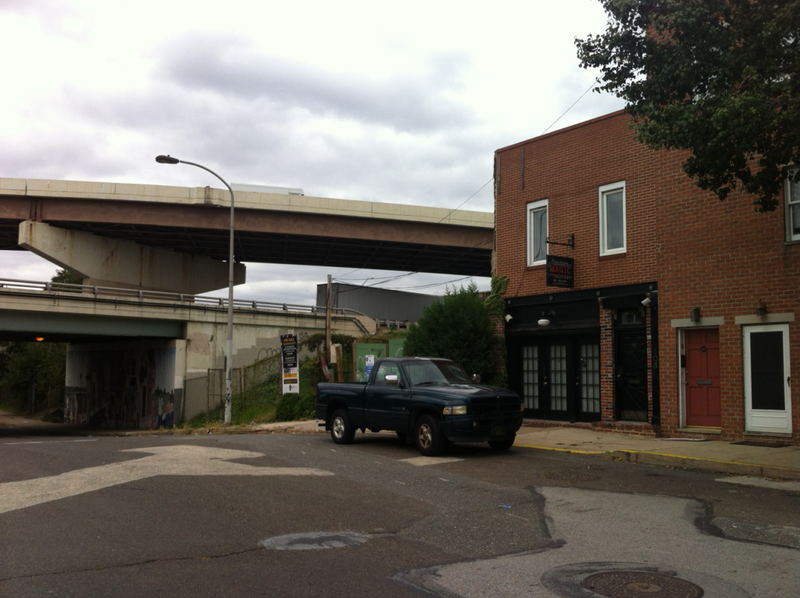 Yes, 107 Callowhill St. will soon see some serious changes. 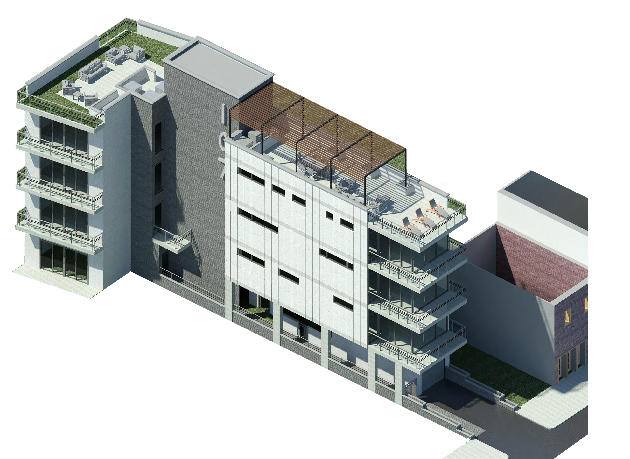 Perspective view shows the interesting shape of the building and the sweet deck planned for the office. The relocation will mark another addition to this area, which has seen some redevelopment of late. 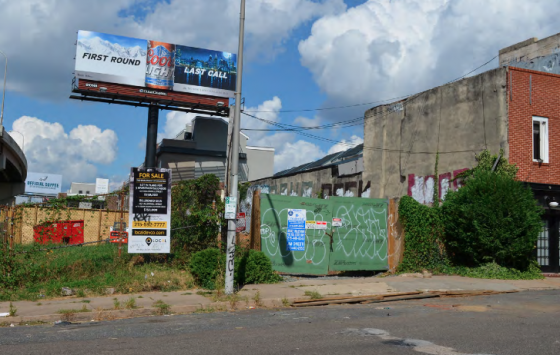 Notably, it will joing the 32 homes going up at Front & Willow, just north of Callowhill at 412 Front St., which should be visible from some of the terraces on the new building. Just south, on the other side of the pillars of the Ben Franklin Bridge, Live Arts has been redeveloping a pumping station first constructed in 1903 at Front & Race which will serve as its home base and double as a bar with a huge open design. One might imagine the sound residents would hear from I-95 would be enough to derail any possible interest, but homes are lined along Front St. just shy of the highway all across town. Along the waterfront there have been plans announced and projects started for so many revitalizations and improvements, like the Spring Garden Connector and Penns Landing Marina basin, that the level of investment is powerful. Might that mean the other lots near I-95 could soon generate new interest? 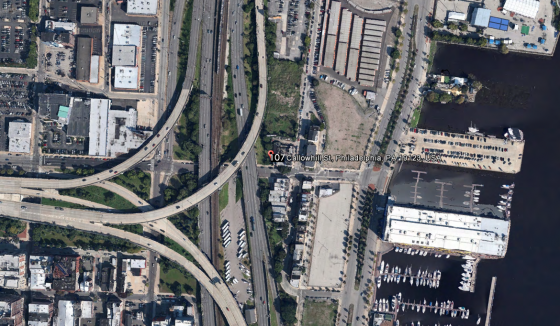 What about the huge vacant lot that stretches along Columbus Blvd. between the Public Storage location and Callowhill?